Why abolish the felony murder rule? Some laws in this country sound really good on paper and make sense in theory. However, when a number of these laws are applied to real life situations they become incredibly unjust. The felony murder law is an example of such legislation. In a previous post I outlined some of the people in America who have been negatively impacted by the felony murder rule as juveniles. To reiterate, this law gives prosecutors the ability to hold all parties involved in circumstances leading to a murder accountable to the fullest extent of the law. At first, this sounds reasonable enough. If two or more people commit a burglary and someone is murdered in the process both people must be held accountable right? Most would agree that makes sense. What if you were 20 years old and you spent a night drinking and partying, only to be awaken by a roommate at some point, asking if they could borrow your car to go steal some weed from someone? Now imagine that you had loaned your car many times to the same person, you’re too hung over to really think about what they are saying, and you give permission for them to take the car again. You then go back to sleep. Your roommate takes some friends and drives about a mile away to steal marijuana from a man who sells it. During the attempted robbery, the 18 year old daughter of the weed dealer is murdered. The men who committed the crime are apprehended and then the next thing you know you are being charged with felony murder. You cannot imagine you will be convicted because you never had any idea a murder would occur and you had loaned your car to your roommate in the past without negative consequences. You figure that if you are guilty of anything it is of knowing that the roommates might steal some marijuana. Regardless of this you are charged with the crimes associated with both the robbery and the murder. After all, it was your car they used to participate in the crime. No car, no crime, the prosecutor tells you. But what about the marijuana? If the dealer hadn’t kept weed in his house the crime wouldn’t have occurred either, right? That’s not how the prosecutor sees it though. You do not believe you will be convicted of felony murder. It is equated with first degree murder in terms of sentencing and first degree murder involves malice and premeditation. You never intended for anyone to die because you never knew the murder would take place to begin with. You weren’t even there. Surely you will not be convicted and sentenced as if you had been there, and were as culpable as the person who committed the murder. However, when presented with the information a jury finds that you were culpable in the robbery because you loaned your car to the person who committed it. The jury does not have to find you guilty of first degree murder because you are facing felony murder where your involvement in the robbery, no matter how minimal, makes you just as culpable as the person who murdered the 18 year old girl. You are convicted and sentenced to life without parole. You now reside in a Florida prison, where you will remain for the rest of your life unless something significant happens to change your fate. The above sounds unrealistic, right? It sounds like something I made up. It isn’t though. The above is what happened to 20 year old Ryan Holle in 2003. He received a life without parole sentence for his role in a murder he never even knew would happen. The prosecutor could have taken him to court on a lesser charge, but he chose not to do it. This is why the felony murder rule is dangerous. Prosecutors abuse this law. Juveniles and young adults across the country have experienced the consequences of this unjust legislation, ranging from Cristian Fernandez who was charged with felony murder at age 12 and will receive life without parole if convicted at trial to Curtis Shuler who was charged at 16. Curtis was sentenced to life without parole for a murder that the two other convicted perpetrators have since said he did not do. They both say he was not even there. Those who support the felony murder rule say it acts as a deterrent. I disagree. In my effort to raise awareness about Cristian Fernandez’s case I have encountered countless people who have no understanding of how Florida’s mandatory minimums work. Many do not understand that if convicted, the judge will have no choice in Cristian’s case but to sentence him to life without parole. The felony murder rule in Florida requires a person to receive life in prison without parole or the death penalty. At 12, Cristian was too young to receive the death penalty. How can a law act as a deterrent if people in this country do not even understand it or how it works? It simply can’t. There are mechanisms in place to punish people for their role in a crime. The felony murder rule is completely unnecessary and provides prosecutors like Florida State Attorney Angela Corey with the legal ability to obtain life without parole sentences for children and teenagers. It has to stop. Melissa Shuler is Curtis’s wife. She has been fighting tirelessly for her husband for a long time. We decided to join forces in working toward abolishing the felony murder rule, beginning in Florida where some of the more egregious injustices have occurred, and continue to occur, because of it. We are asking for fair justice. Smart justice. The felony murder doctrine is neither. Please join us in our effort. We will be campaigning in a variety of ways over time to end this unjust law and bring attention to its casualties. Join us in our effort by signing the petition to end the felony murder law in Florida by clicking here. You can join our event on facebook here. Please share the petition with friends and other people who will help us raise awareness and express to Florida legislators that we would like to join states like Michigan, Kentucky, and Hawaii in eliminating this legislation. Watch the documentary “Reckless Indifference” to learn about Brandon Hein and how the felony murder rule affected several teenagers in California. Netflix offer this documentary in the streaming version as well as on DVD. Watch “Unequal Justice” online here and learn about another example of how the felony murder rule has failed to produce appropriate justice. In 2003, Ryan Holle was 20 years old. He had been partying the night before and was hungover and tired when a friend asked to borrow his car. Ryan handed his keys over in a decision that probably ranks as the one of the worst he ever made. 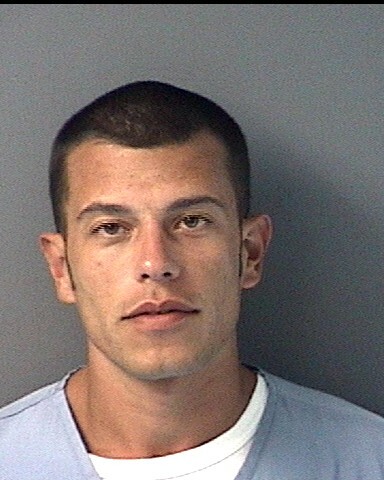 Ryan’s friend used the car to drive three other people to steal a safe from a marijuana dealer’s home in Pensacola, Florida. The burglary resulted in the murder of the dealer’s 18 year old daughter, Jessica Snyder. At trial the prosecutor, David Rimmer, justified charging Ryan by saying he knew a burglary was going to occur. He made the statement that “no car equals no crime, no consequences, and no murder.” Ryan testified at trial, saying that there had been talk about a burglary but he had not taken it seriously. He was hungover from the night before and the discussion wasn’t registering. Police statements appeared to indicate that Ryan had knowledge the men intended to burglarize a home. This was what gave the prosecuting attorney ammunition to charge Ryan as an accomplice to the murder. Ryan had no criminal record. Lending his car to his housemate and friend was not an unusual practice for him either. He had done it previously a number of times. However, when the burglary of a home about a mile and a half away from Ryan’s location resulted in murder, Florida law made it possible to charge him as a direct participant. Ryan stood trial and received the exact same sentence as the two men who witnessed Jessica’s murder, and the man who directly perpetrated it: life without parole. Knowing a burglary might occur and anticipating a murder are two very different things from a common sense perspective, but they can be one in the same according to many states’ laws. The crime is referred to as felony murder and it comes in many forms. Three states have abolished the felony murder rule, including Kentucky, Hawaii, and Michigan. Though the majority of states still have this law or a variation of it, some states implement a harsher application of the law than others. Florida is a prime example. The felony murder rule has been examined by a number of programs and documentaries. 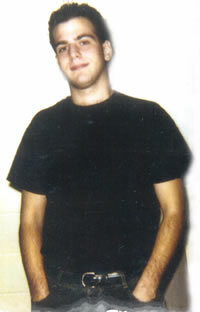 Unequal Justice, which can be viewed online, describes Joseph Donovan’s case and his sentencing to life without parole. The most shocking component of this story is that the person who did the stabbing was released from prison, while the other continues to serve time. Unless something significant changes, he will remain there until he dies. In my opinion, [Donovan] did participate in the incident that caused the murder, but he is not a murderer. I feel sorry for him. Being punished for life for something that you did as a 17 year old boy? To me, that’s not justice. That’s wrong. Joseph was the only one of the three convicted of felony murder. This is why he remains in prison for a crime committed in 1992, while the other two participants are free. Shon was released after a 10 year sentence. Alfredo took a plea deal. Joseph was offered a plea deal for second degree murder also; however, when he asked his mother if he should take it she told him that if she were in his place and was not responsible for the murder of another person, she would not take the deal. She said that doing that was like admitting to doing something you did not do. Joseph accepted her advice and rejected the plea deal. A documentary, Reckless Indifference, describes another situation case where the felony rule was applied to juveniles. Five teenagers, ranging from 15 to 18 years of age, were involved in a fistfight that resulted in the stabbing of 16 year old Jimmy Farris and 17 year old Michael McLoren. Michael survived his injuries, but Jimmy did not. A summary from the 2001 California Court of Appeals indicates that one of the teenagers, Jason Holland, was carrying a knife. The summary states that there was no evidence indicating that the other teens knew he had a knife. Three of the teens involved in the event received life without parole. 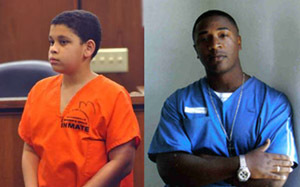 Micah Holland, who was 15, received 29 years to life. 17 year old Christopher Velardo pleaded guilty to voluntary manslaughter, combined with conspiracy to commit robbery. In 2000, Christopher was released from prison. Brandon Hein, one of the teenagers involved, was interviewed in the above documentary. The felony murder doctrine is the reason 13 year old Cristian Fernandez faces life without parole for a crime he was charged with at just 12 years of age. Jurors are not informed that those being tried in accordance with this law will receive life without parole. Instead, some jurors have later stated they thought the verdict would result in a lighter sentence. Carolyn Butterworth was one of the jurors who deliberated on the jury for Joseph Donovan. She later stated, “People in our juror pool said ‘he’ll get out in a few years. '” She now realizes this was not true then and it still isn’t true since Joseph remains in prison. Is this what will happen to Cristian? Will the jury find him guilty of aggravated battery, without realizing that the combination of the battery charge with murder makes it applicable under the felony murder rule? Do people realize that felony murder is treated like first degree murder but that a prosecutor does not need to prove the death was premeditated? Some media outlets, like the Florida Times Union, do not seem to like to print that he faces the mandatory sentence of life without parole. Considering that their readership lives in the same city containing Cristian’s future jury pool I’d say that if he is convicted and given this egregious sentence it would be fair to say they played some role in it. Especially since they have been informed of this issue and they ignore it. However, one of Cristian’s defense attorneys, Hank Coxe, has stated it outright. As have others. How many times has the media played a role in someone’s overly harsh sentencing or wrongful conviction? I guess that’s another blog article for another time. More stories of people sentenced according to the felony murder rule may be found here.